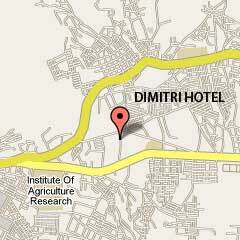 Inaugurated in October 2008, Dimitri Hotel features modern services and a friendly staff. Browse around, read up, view the picture gallery and find out why Dimitri offers the best value for your stay. Full breakfast for all guests. Stay connected while in your room or anywhere else in the hotel. Choose Italian cuisine, vegetarian dishes or try Ethiopian food. Can't help cooking yourself? You're welcome to use the kitchen! Find the channels you normally watch at home and many more exclusive programmes. Check the monthly magazine in your room. Order from the restaurant until midnight. Conference hall, audio & video tools, wireless Internet and catering services. We take care of it all so you an concentrate on your work. Relax and socialize, try out wines and cocktails. Explore Addis Ababa with a qualified guide who speaks your language. Like beer and a traditionally set bar? Look no fruther than the Spanish bar. The most convenient and comfortable way to move around Addis Ababa. Enjoy tropical sunshine and year round mild temperatures. Have a snack, read a book, have a drink or chat with friends under the shade. Need to leave your luggage a few hours? Use the free deposit. A small fee applies to long term storage. All rooms are strictly non-smoking. Smokers are invited to smoke on the balcony or other ventilated area.